You see, what the magazines don’t tell you is that every woman should own a blood-red eyeliner. Ever since the day I got creative with an eyeshadow, owning a red liquid eyeliner has been high up on my list of life’s priorities. I’ve scoured high and low for the perfect shade… and I’m yet to find it. I thought I may have struck lucky with my latest purchase, Clio’s Kill Blood Eyeliner but alas, it just doesn’t quite hit the mark. Let me show it to you anyway, just incase it’s your next purchase. 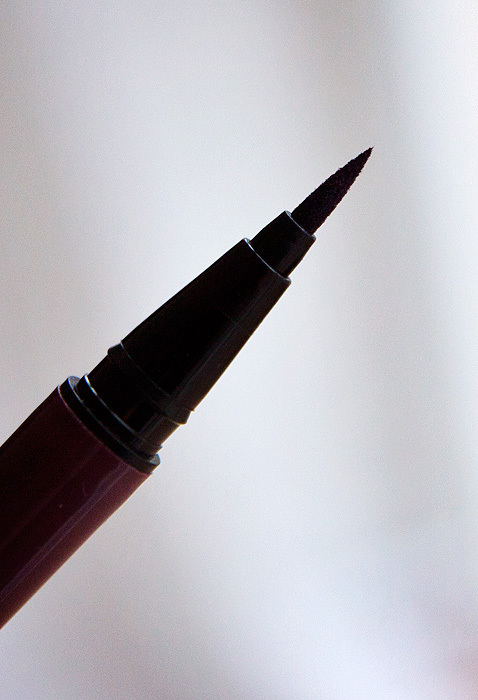 The eyeliner comes simply packaged in a cardboard box and the lid clicks off to reveal a firm, felt-tip style nib. The nib is sharply tapered to allow you to draw a thin, precise line or indeed, you can angle the pen as you draw for a thicker, heavier sweep. 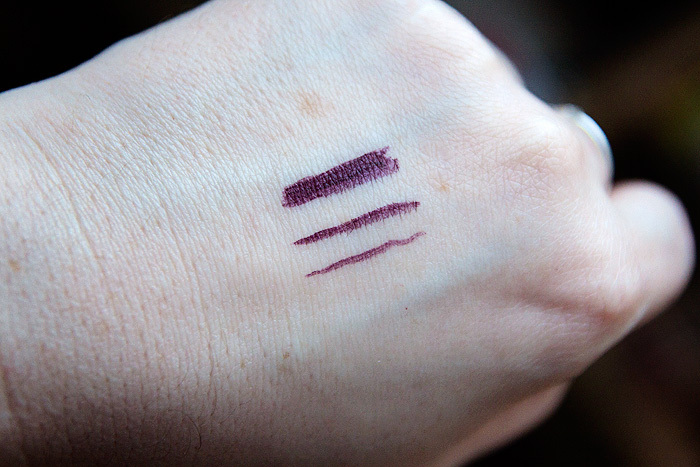 Pigmentation is fair but if you want a truly opaque burgundy red, you’ll need to wait a couple of minutes and go-over your initial line to strengthen the depth of colour. I find this to be the case with many coloured eyeliners, even the browns… so it’s not a huge surprise. One thing that is a little bit of a bore is the bleeding that I get from this eyeliner. It’s not as bad as I’ve experienced with some liquid eyeliners in the past, but unless I gently hold the skin taut across the eyelid, I don’t get the sharpest of edges. This wouldn’t be a problem except that I need to allow the eye area to relax in order to achieve even flicks, so I’m having to go back with a dampened cotton bud to tidy-up each time. Longevity is pretty good, with wear appearing on the flicks by the end of the day. The line across the lid stayed pretty solid but it does benefit from a bit of primer if you’re applying it over a bare eyelid. 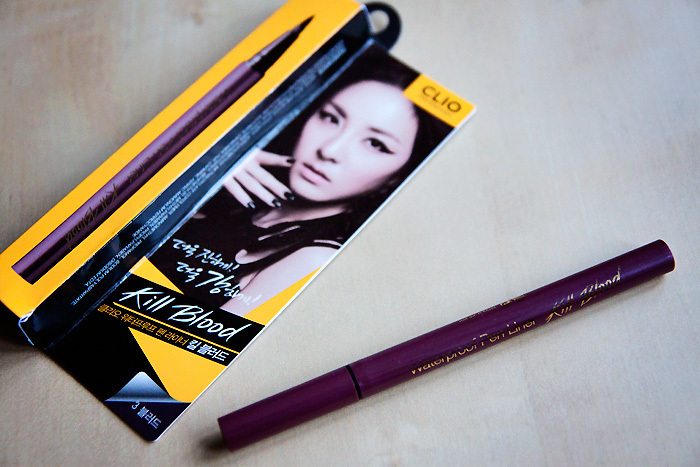 All in all, and for the price I paid… the Clio Kill Blood Pen Eyeliner is fine. It just doesn’t match up with the high hopes I had for it, but to be fair, expectations can be a bugger to live up to. Christmas Gift Guide-a-palooza: Scentsational Gifting!